Today, I’m sitting on nine dozen eggs. I wash them after collecting them to store in the refrigerator. This way, they’re ready to go if I get the chance to sell or gift them. Unfortunately, we’re having a problem. One hen’s brown eggs are so delicate that when I wash them, they crumble to pieces in my hands. But, with six brown-egg layers in the flock, it’s hard to tell whose eggs came from whom without isolating them, because I’ve never taken the time to each egg type to its hen. All I know is whose eggs they’re not. Although each flock member is offered the same diet, I can’t guarantee they’re all eating similarly. Some hens might eat more grain feed, and others might forage more. Generally, though, chickens are very good at eating what their bodies need. A calcium supplement is added to many commercial chicken feeds, but more can be offered free-choice in the form of oyster shell or even dried and crushed eggshells. In my flock, with several sources of calcium available, and only one hen laying weak eggs, this probably isn’t our problem, unless there’s a health problem keeping her from absorbing calcium. 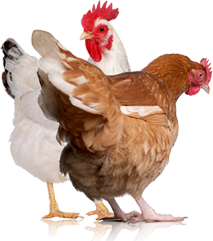 In general, a hen will lay an egg every 25 hours or so. Breeds renowned for their reliable laying will take a break to molt every year or to rest over the winter, but these same breeds can lay up to 300 eggs a year—sometimes more—which is asking a lot of their little bodies. They’re ovaries are working overtime, and prolific layers are at risk of ovarian cancer as they age. Depending on how quickly or slowly the eggs travel as they’re forming in the oviduct, the eggshells might not form correctly. In this case, I can’t do anything to help. Usually the pecking order functions like a team, but we have a couple hens go rogue from time to time. My Polish hen functions as our flock’s dim-witted rooster. She’s bottom rung in the aging flock, so she asserts her misguided power by playing bully to the pullets. When the pullets eat, walk by her, cluck in her direction or breathe, Sookie doesn’t play fair. This could stress out the young hens, causing problems with egg formation. I toss kitchen scraps to my chickens a few times a week, but I try to limit the amount—they don’t get all of the food scraps. For example, if someone doesn’t eat all of his or her cereal, it will usually go to waste instead of feeding it to the flock. Feeding chickens excess carbs (including chicken scratch) can cause chickens to gain too much body fat, and overweight hens will suffer health consequences. Large birds, like the Wyandotte, are especially at risk of becoming overweight. I have two Wyandottes—one hen and one pullet. For now, no more kitchen scraps. Whether from physical stress or nutrition depletion, infestations of mites, leg mites, and lice can cause serious health problems, including eventual death. In the last 6 months or so, we’ve battled both mites and leg mites in our flock, but they haven’t been an ongoing problem. 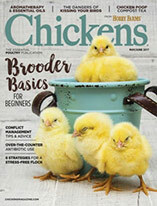 It’s a good time to do another thorough chicken check and to treat immediately if needed. My Australorp, Helen, just came out of a period of broodiness. Each time she goes broody, it lasts about three weeks. She’s so dedicated that I can’t break her of her broodiness at all anymore. When hens go broody, they don’t care for themselves very well. They forgo eating and drinking and often lose weight, with the desire to do nothing else but warm and protect eggs. In Helen’s case, she’ll sit in the nest with her feathers puffed without an egg underneath her. 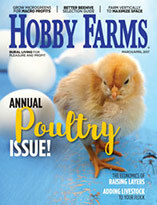 With four hens nearing their fifth birthday, one could simply be declining in health. Sometimes a chicken can live to be 10 years old or even older, but not all will. No matter how perfectly I feed them and otherwise care for them, some of my chickens will succumb to health problems I can do nothing about. With more investigation, I’ll find out who’s laying the weak eggs, but my hunch is that it’s an aging hen. However, my hunches have been wrong before! If all else fails, I’ll isolate the girls one by one. Readers can expect a full report once I crack the mystery of the weak egg.